Walk into any Chick-fil-A chicken fast food restaurant around the U.S. and when you say "thank you" the person working there will say "my pleasure" instead of "no problem." You'll likely hear the same "my pleasure" from the waiter at California Pizza Kitchen after he/she delivers your meal and you say "thank you." At first, the "my pleasure" sounds strange, because we are so used to being told it's "no problem." But, you'll get used to "my pleasure" quickly, especially because it's the much better response to your buying a product or placing your order, and when you thank a business for their service. As a leader, abolish "no problem" from your employees' vocabulary. Remind them that serving a customer isn't a problem at all. It's your business' pleasure to provide the service! Hopefully, you're setting a good example for your team by eating well, exercising and leading them to practice a healthful lifestyle. Fit, well-nourished, healthy employees perform better. According to the American Heart Association, research shows that employers that spend on health promotion and chronic disease prevention programs achieve a rate of return on investment ranging from $3 to $15 for each dollar invested with savings realized within 12 to 18 months. Serve healthy snacks (breakfast bars, fruit and nuts) instead of donuts and candy at meetings. 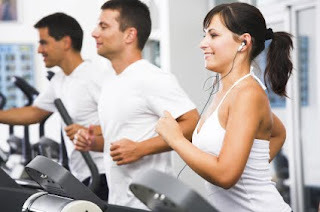 Negotiate gym membership discounts with fitness clubs near your office for your employees. Offer stress-reducing neck massages by local therapists for low prices to your employees during lunch periods. 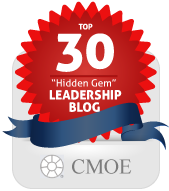 Thank you for following my Blog on management and leadership, and allowing me to share more than 70 posts with you on how to be a more effective leader. Thanks, too, to everyone who has posted comments, made topic suggestions, and forwarded various postings from the Blog to friends, co-workers and supervisors. I look forward to sharing more with you the rest of this year and during all of 2010. And, if you need to give some gift suggestions for yourself to friends and family, perhaps you select one of the Top 64 Leadership Books to add to your wish list. You and your team may not hit your revenue or profit goals this year. Or, perhaps your organization won't accomplish all its goals during this tough economic year. But, as a leader, you likely still have plenty to be thankful for in 2009. So, be thankful. And, most important, verbalize your thanks! Limit attendance. Include only decision makers and key implementers. Use an agenda. Give each topic a time limit. Ask your staff to help set the agenda so they'll know the meeting will be relevant. Make sure attendees know at the meeting's beginning the benefit of why they are in the meeting. Create a not-on-the agenda list of topics that will be tabled for after the meeting or for another meeting. Set immediate deadlines for carrying out all decisions that are made during the meeting. If you follow these simple five tips you can prove to your team that meetings can be used to get things done!You can learn more about how to host an effective meeting by reading the booklet, "Best Life: Tips for 2009." You've surely heard it before, but whatever you do in your manager and leader role, don't micromanage. Do you fear having your employee's mistakes attributed to you?Do you require subordinates to report on everything?Do you think I could do it better?Do you believe you are indispensable but find yourself stuck in a rut?And remember,Don't be a bottleneckFocus on outcomes, not minutiaeYou can learn more about how not to micromanage in the booklet Best Life: Tips for 2009. As a dim light begins to shine at the end of the tunnel in this recession, savvy business leaders are making their lists of lessons learned so their companies will be better prepared for future downturns. Business Week magazine's June 29, 2009 issue featured an article called "Managing Through The Economic Storm" where various experts weighed in on how leaders should react to challenging economic times. You have to build trust with your colleagues before a crisis comes or no one will follow you when it does. There is no substitute for preparation. Access your company's strengths and weaknesses at all times. Conduct an annual risk review that encompasses both financial and non-financial risks. When removing employees from your business, be courageous, quick and fair. Pay attention to those who leave and those who stay. And, for those who stay, remove work so the employees left behind don't feel punished for staying. The next time you stay at a Marriott hotel look in the nightstand drawer for Marriott's booklet that highlights its milestones and tells the Marriott story. Take good care of your employees, and they'll take good care of your customers, and the customers will come back. Celebrate your people's success, not your own. Know what you're good at and mine those competencies for all you're worth. It's more important to hire people with the right qualities than with specific experience. The power of meeting with your team members face-to-face cannot be overstated. Unfortunately, in today's world of email and electronic communications, meeting with someone face-to-face, or for that matter even speaking with him/her over the phone, has become something that doesn't happen nearly enough. Resist the temptation to email or phone an employee or team member when you can meet in-person with him/her. The best way to build rapport, respect, an open line of communication and a team, can-do spirit, is to have face-to-face interaction as often as possible. Research shows that unfortunately, many workplace meetings are not nearly as productive as they could be. * Observing nonverbal feedback and encouraging everyone to participate. * Summarizing group consensus after each point. * Reminding the group who is responsible for taking care of each follow-up action. * Encouraging team-building, networking and problem-solving among your meeting participants. Another month has gone by, which means it's time to post my favorite post -- the one about leading by setting a good example. 1. Praise when compliments are earned. 3. Say "Thank You" and sincerely mean it. 6. Teach something new to your team members. 7. Word hard and lend a hand when deadlines are tight. 8. Show respect for everyone on your team. 9. Follow through when you promise to do something. 10. Allow learning to happen when mistakes are made. 12. Respond to questions quickly and fully. 13. Return e-mail and phone calls promptly. 14. 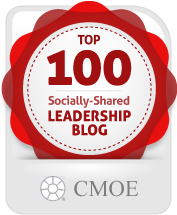 Take an interest in your employees and their important personal milestone events. 15. Give credit where credit is due. And, last but not least, be humble!